Roman copy of Greek statue after Doedalsas of Bithynia ca 250 B.C. The goddess Aphrodite (Roman Venus) crouches with her hands placed across her breast and groin. 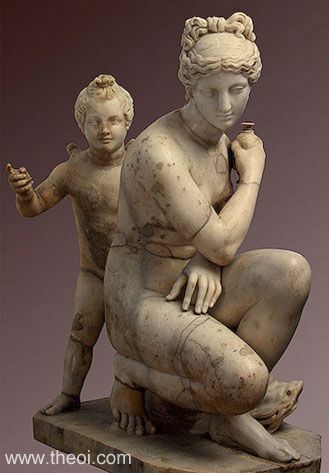 Her son Eros (Roman Cupid), the winged god of love, stands by her side.